August 6, 2018 (Boulder, CO) - The Boulder Peptide Society is pleased to announce that Dr. Jevgenij Raskatov, of the University of California Santa Cruz, has received the 2018 Young Investigator Award. The Young Investigator Award was established to support promising peptide scientists during the pre-tenure period. 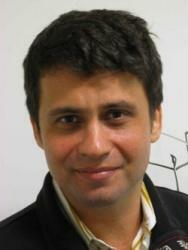 Jevgenij Raskatov is the Assistant Professor in Department of Chemistry at the University of California Santa Cruz. Dr. Raskatov received his B.Sci. in Chemistry from the University of Heidelberg in 2006 and D.Phil in Physical Organic Chemistry from Oxford University in 2009, under the supervision of J. M. Brown. From 2009 to 2014, he was a postdoctoral researcher at California Institute of Technology working under the supervision of Peter Dervan at the Department of Chemistry and Chemical Engineering. Jevgenij Raskatov is applying his strong skills in physical organic chemistry and chemical biology to Alzheimer's disease. He has assembled an interdisciplinary research team to investigate Alzheimer's amyloid beta and its interactions with steroid hormones through a wide array of chemical and biological techniques. Upon arriving at UCSC, his team discovered a minute variation within the amyloid beta framework, the substitution of glutamate 22 through aspartate, which delays aggregation of amyloid beta by about tenfold. Remarkably, the two polypeptides differ by one methylene group and are identical in both length and charge. Dr. Raskatov has put forward the innovative hypothesis that the Glu22Asp alteration may have protective features in Alzheimer's disease. He has expanded upon this discovery to build a program of research focused around the roles of chirality in the aggregation of the beta amyloid peptide and has published several papers that build upon his initial discovery. His latest discovery shows that the enantiomeric beta amyloid peptide suppresses the formation of toxic oligomers and gives non-toxic fibrils. This finding has been published and featured in Angewandte Chemie. In recognition of his professional and scientific achievements, the Scientific Advisory Board of the Boulder Peptide Society is pleased to present the award to Jevgenij Raskatov. Dr. Raskatov will present an oral presentation on his research and formally accept the award during the Boulder Peptide Symposium, Sept 24-27, 2018, in Boulder, Colorado. 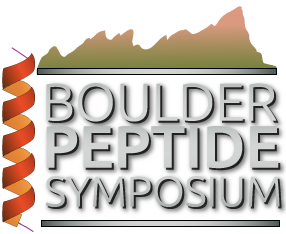 For more information and to register for the Boulder Peptide Symposium, visit www.boulderpeptide.org.